The rabbits are becoming popular pets due to their babyish appearance and attractive and sweet personalities; these are the source of pleasure not only for kids but also for adults. It is observed that the children who grow with pets are more caring and kind in the practical life as compared to other children. Although, all types of rabbits are popular among people but there are two most famous breeds such as Dutch dwarf rabbits and lionhead dwarf rabbits and demand of these dwarf rabbit breeds is growing significantly among the pet lovers. It is reported that there are almost 500 varieties of rabbits in all over the world and the rabbit’s breeders have developed almost 60 breeds of rabbits and they are also doing experiments to develop further new breeds of rabbits for pet lovers. These breeds are not only developed for the satisfaction of pet lovers but also for the business purposes because pet industry is also growing speedily and becoming the source of providing incomes to many people. Dwarf rabbit breeds are the new and diverse types of rabbits and these breeds are developed with the help of natural selection and selective breeding among different types of standard and dwarf rabbits. There are global breed associations that generally approved the new breeds of rabbits created by crosses between diverse breeds of rabbits and breeders have to follow all the terms and conditions of these associations for the approval of new rabbit breed. There are two international rabbit breed recognize organizations such as British rabbit council (BRC) and American rabbit breeders association (ARBA) and if your developed breed of rabbits will not emulate the rules of these associations then it will not approve as standard breed. 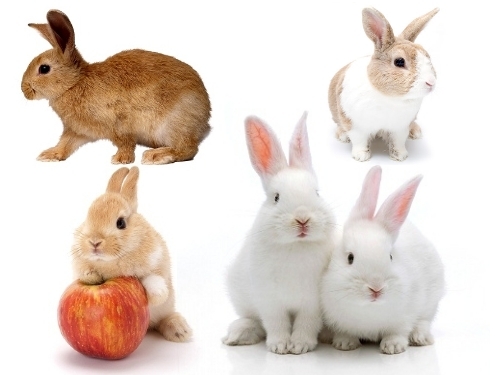 The pet lovers have detailed information about most of the dwarf rabbit breeds but some breeds are very rare and these breeds are usually available in their original countries because these breeds are not exported to any other countries. The facts about different breeds of rabbits reveal that dwarves have average weight between one to two kilograms and the weight of standard rabbits lies between six to seven kilograms. The dwarf rabbits have greater life span as compared to standard rabbits such as the average life period of dwarf breeds will be eight to twelve year, on the other hand standard rabbits have life span of five to eight ears. The dwarf rabbit breeds are more social, lively natured and more placid as compared to other breeds of standard rabbits and there body shape will also be different from other rabbits. The dwarf rabbits have usually round and compact body shape and they have very attractive colours such as Dutch rabbits have blue, yellow, chocolate, grey and black colours with white colour as base. The dwarf breeds of rabbits require special attention and care and you must be very careful about their diet because their digestive system is also very sensitive and any type of unhealthy diet can cause complications.